The Kony 2012, a campaign launched recently by Invisible Children to raise awareness of the issues of child soldiers in Uganda in which they propose what they believe to be the ultimate solution — arrest Kony, the LRA rebel leader responsible for over 30,000 child abductions — was met with overnight “success” (i.e. over 50 million views on YouTube) and then heightened controversy; there are critiques that suggest the video promotes a white saviorist approach to humanitarianism, others that applaud the effort but challenge the film’s inaccuracies, and many more that call for the inclusion of more African voices in Invisible Children’s advocacy efforts. Almost overnight, the web was flooded with so much commentary from western media on the erasure of African voices that it became challenging for me to even locate perspectives from fellow Africans; ironically, African voices weren’t initially just being drowned out by the success of IC’s viral campaign, but by western voices sharing their own take. Fortunately, African voices stepped up to the plate, offering a wide range of perspectives; you can find a compilation of African responses to the campaign here, and a more general roundup of the Kony2012 issue here. Nevertheless, I’m (as always) acutely aware of the amplification of male voices on the Kony 2012 campaign. Hence — and in the spirit of women’s history month — I’d like to highlight African women’s voices. The 5 women below aren’t just adding to the conversation, but inspiring critical thinking about how we can be more conscious about the media we consume, more humble in our efforts to provide support to fellow global citizens, and mindful of the gift social media has given us. Africans now have the power to combat harmful narratives about Africa simply by telling our own. So, here they are: 5 responses from African women to Kony 2012, and westerners seeking to support Africa, ethically and responsibly, now and in the future. Soon after I heard about the Kony 2012 campaign (and watched the video), I read “You Do NOT Have My Vote” written by Solome Lemma under her Innovate Africa Tumblr. …when your work and consequence affect a different group of people than your target audience, you must make it a priority to engage the voices of the affected population in a real and meaningful way, in places and spaces where programs are designed, strategies dissected, and decisions made. Read the full post at innovateafrica.tumblr.com, and follow @InnovateAfrica on Twitter. While the cyberspace heated up with written critique upon written critique, Rosebell KAgumire, a Ugandan blogger and journalist that covered the LRA several years ago, decided to post a video summarizing her thoughts. Rosebell also stresses the importance of including African leadership, as well as engaging other political players such as the Ugandan government and other African countries before attempting to implement any solutions. Bigombe has seen the LRA’s brutality first-hand. In 1995, when she was a government minister, she was the first outsider on the scene of one of its bloodiest massacres. Rebels attacked a town and captured about 220 men, women, and children. The villagers were marched several miles to a riverbank and all methodically executed. Read her full story here, watch a video of Betty speaking here, as well as this recent interview with her on Enough Project. 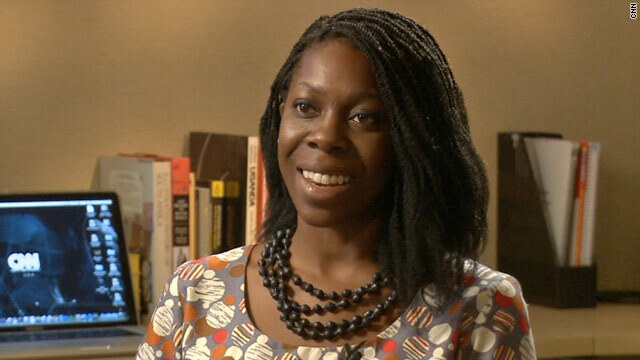 Dayo is a Nigerian-American journalist covering global politics and development policy. She is writing a book about innovation in Africa. You can follow her at @madayo on Twitter. … young people’s minds are open and hungry. They should be inspired by knowing Africa is empowered, saving itself, and working with partners to remove Kony. That is the real story. Invisible Children must be willing to take their followers on a journey through the Africa that Africans know. They must be willing to inspire – but also to manage – their followers’ expectations. They must be willing to use their media to amplify African voices, not simply their own. It’s no wonder she started the twitter hashtag, #WhatILoveAboutAfrica. In response to negative portrayals of the continent put forth by western media, and most recently, through the Kony 2012 campaign, Semhar commands that we do more than just critique visions of Africa, but create them ourselves. Follow @Semhar and @DawnInc on Twitter. So, that’s the word — African women have spoken. If you’re interested in supporting the people of Northern Uganda, but would like an alternative to donating to Invisible Children, consider supporting organizations such as Hope North Uganda and The Women of Kireka. In fact, Invisible Children has recently shared a list of other organizations working on the this issue in Uganda. Finally, if you’re itching for a new video to share, share this one, make this one go viral. Viva Africa.